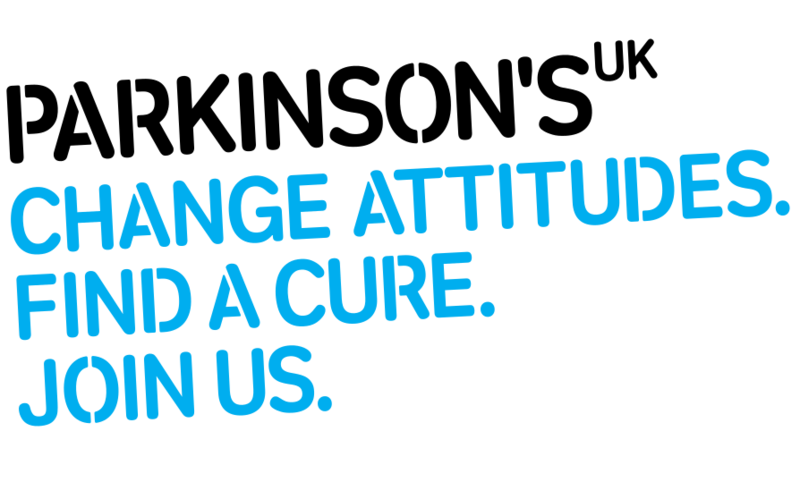 As you’re probably aware, we are launching ‘Parkinson’s Is’, a campaign to increase the understanding of Parkinson’s as a serious condition on Thursday 11th April which is also World Parkinson’s Day. It’s important that we place people with Parkinson’s at the core of everything we do and as such, we’d love for you to use this thread as a creative outlet for some amazing poetry about what Parkinson’s Is to you. We’ve already seen the excellent poetry that has been produced in the ‘creative section’ on the forum; however, unlike that section (which is the only private category on the forum), the poems on this thread will be made public to inspire more people affected by Parkinson’s to join our supportive community and to hopefully flex their own creative muscles. We will also be using some of the content produced on this thread to help raise awareness on this campaign via our social media channels but will ask for you consent before doing so. We can’t wait to read more of your great poetry! If you have any questions on this, please feel free to ‘@’ me and I’ll respond to you as soon as possible. Parkinson's Is Campaign is now LIVE! This was written some time ago, just after diagnosis trying to explain the things that had worried me when the hospital neuro at first assured me I did not have Parkinsons. I was recently retired, my children grown and gone… I should join some clubs. A23: two streams before me and two behind. When the monsters gang up on me. So scared inside – intimidated. Hands Parky control of my feet. Wants ME to push the traffic away. My feet are moving again. Stop it! Please don’t push that bus! Thank you such for sharing this! I’m sure it will resonate with many others. Parkinsons is wanting not to be that thing which I am becoming. Not my best work as it is a bit ‘off the top of my head’ so use it if you wish or store it in the bin!! Talent not essential as is clear from this poem of mine!! Thank you all for the amazing poetry - your creativity is so inspiring and I appreciate your willingness to share your experience with Parkinson’s with everyone. Please keep the poetry coming! Overheard in a hospital corridor. It’s the cheerful one next, isn’t it? Well, I am what I am,yet what I am I know not. No-one is patient with Parkinsons. One of those old ones made of lead. And then back home again. And no doubt dear I would stay positive if I felt better. And ride off on a trip for the day. Yes I heard about that Dutch research. Problem is , riding a bike makes your hair curl over there. Why must I always do more? Did I tell this one about my garden? Which gems have I bestowed and where? Not that I lie to anyone – oh no! But what else to do at two in the morning? Don’t ask that blonde one, she’ll suggest writing ‘purtree’. For this time of year, really mild. Blank carved face, throat clearing, grunts. You could have let me try. Hello, I wrote these pieces of poetry quite a while back, probably at the start of 2018. They were written while I was feeling quite low for many different reasons, including Parkinsons which has had me in it’s thrall for 10 years. I have never written poetry before in my life but somehow managed to write all this over the course of a few weeks! I have penned about 15 I think. But I stopped after a few weeks and haven’t written since. And lastly, this one says it all too, about people who sometimes can treat us too casually, cruelly (perhaps without knowing it) when we are no longer the same in their eyes. Do you think there’s something in the water? Does the weather get you down? There’s lots more and some are actually funny !! But I really hope you liked these. Being very unobservant, I had not noticed this thread, until it was mentioned by Jon in creative corner. I love the poems so far, all so individually written, yet with meaning for us all. Here are one or two I have written in the past. I would love to contribute - what a great idea. Poetry continues to be my saving grace - ever since 5th November 2015 - when I committed to writing at least one poem a day (of varying qualities and on very diverse subjects). Poetry is my daily cognitive exercise - not sure if it is working on that level long-term, but it works in many other ways to give me purpose with this disease. So far about 1,300, with a few published in the UK & USA. I attend and give poetry readings - great for voice control and self-esteem - as well as contribute to various publications. I do have an entire lump of my writing ‘about’ Parkinson’s - HERE - but other subjects are covered too - which have been touched by my changed world. Oops! Missed out poem before! Parky’s head? ‘They’ are described as one and the same. I am not one of ‘them’. one of many, but not one of ‘them’. making the world go round. one book in a public library. making my way through this life. they have the same complaint. one of many, am not one of ‘them’. So deep it hurts, it cannot mend. And suffocates, gone to ground. Follows you, about to pounce. Floating by you as it has? Hurting in your heart perchance? The lack of it - priceless treasure. It seeps into empty head, possesses it; head goes where led. To finish me then as I sing, and dance and strut joy to bring. My life on hold while I rest, recov’ring from unwanted guest. A weight you cannot understand. Now country smells are overlooked. Cannot converse, feel like a freak. Must lift legs high, struggle out of car. Get into bed, but getting out? The same with bath; what’s it about? It does not seem much at all. Forever and ever there t’ scare. And leaves me there just to unwind.